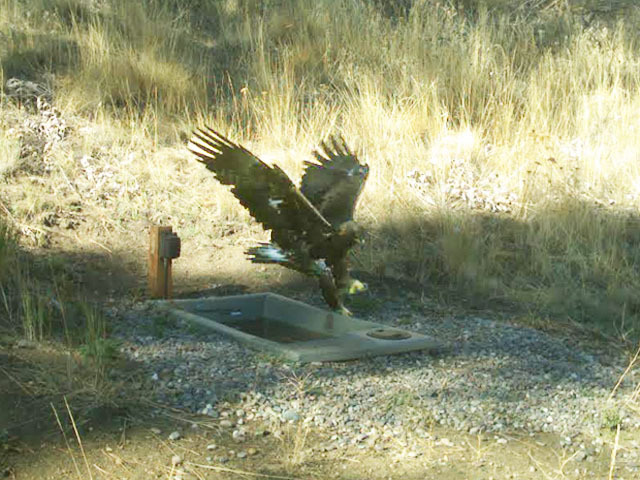 The unit measures 54″ x 30″ and is 20″ high, with a capacity of 110 gallons. 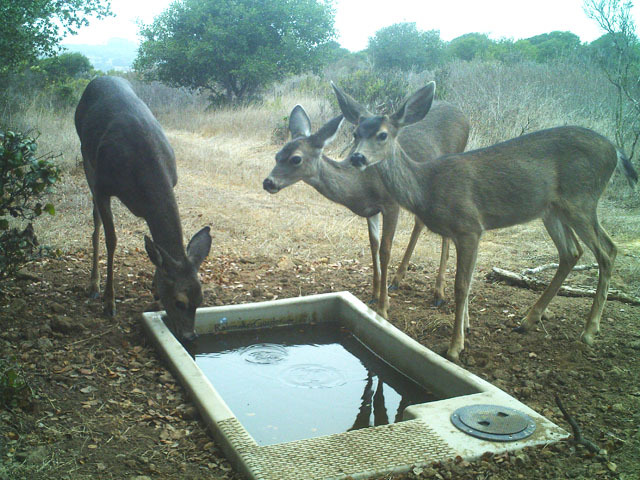 Give deer, elk and other large animals access to water at a comfortable 20″ height with our Drinker-110 system. 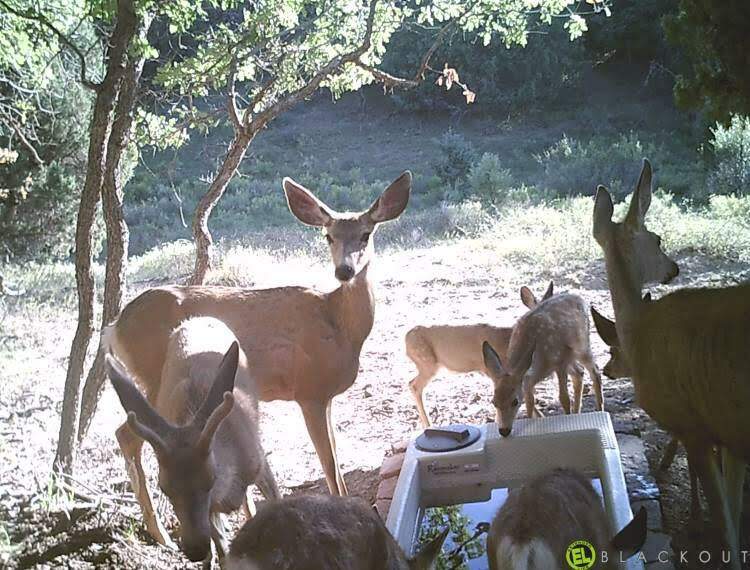 Whether installed above ground as a drinker, or in-ground as a mini-guzzler, the Drinker-110 is an optimal choice for keeping your domestic or wild animals hydrated. We’ve built an access hatch into the drinker to allow inspection inside without having to disassemble it. The Drinker-110 is made of polyethylene so it is extremely durable, non-toxic and impervious to UV and freezing. Please Note: It may be best to drain the drinker in areas where the drinker will freeze solid in winter. When installing the Drinker 110 in-ground, there are two primary considerations to keep in mind. large animals will compact the soil around the drinker. This can result in distorting the shape of the drinker. if the surrounding soil becomes over saturated or flooding occurs, there is the possibility the drinker may pop out of the ground. Please consider anchoring the drinker down. 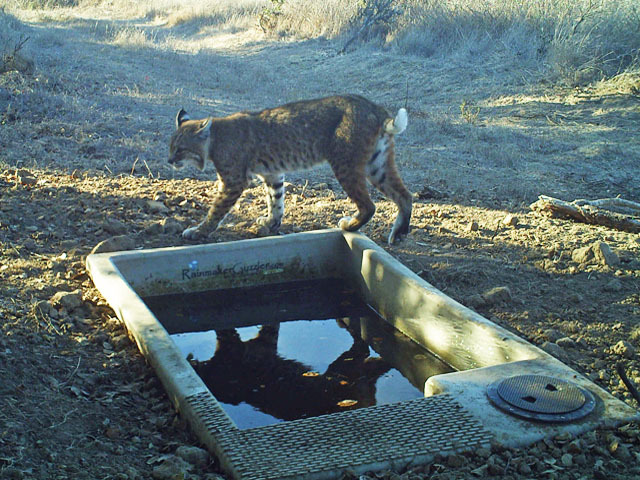 State Agencies, such as Arizona Game & Fish, have incorporated a method of “framing” drinkers with cinder blocks to control the issues of compaction and buoyancy. “Framing” and “anchoring” will help considerably to extend the life and function of your drinker. All valve components are protected under the deck. The durable 3/4″ PVC valve has stainless steel fittings to minimize the effects of mineralization, calcification, and corrosion. Includes a stainless steel arm and chain, and a 4″ poly float. This valve allows for ample water flow from either a gravity or pressure system. Stock Fittings for Drain and Line-in are 1″. This Drinker comes standard with 1″ fittings. Lid Dimensions L 55″ W 31.25″ H 20.5″. Lid is secured onto base with four, 3/8″ bolts. Four 3/8″ threaded inserts will be added to each corner. Use these inserts to secure drinker to wood posts, Tee posts or anchors.